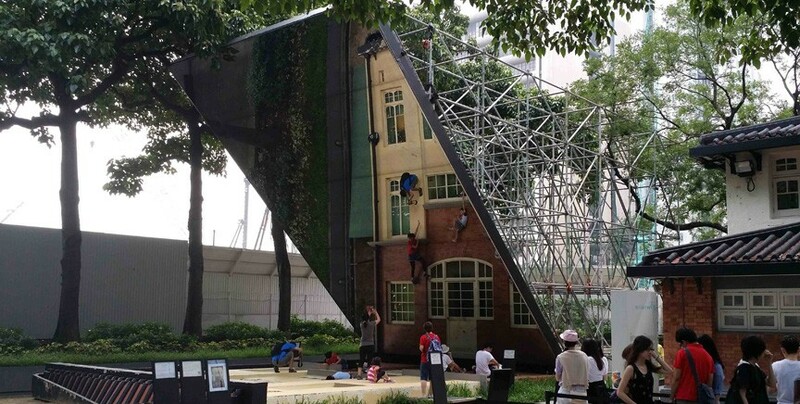 A huge optical illusion set appears to be a house with real people hanging onto the front wall! 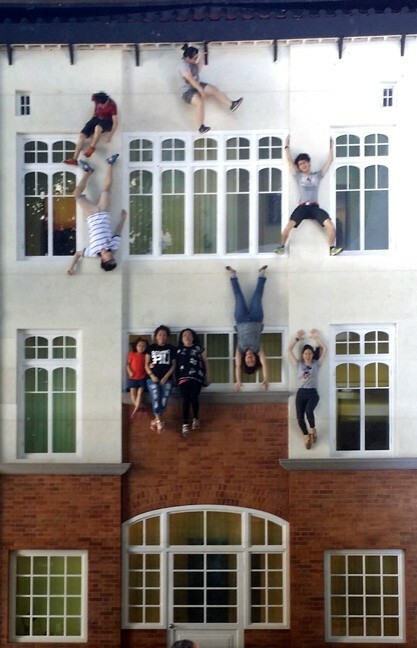 At first glance the illusion is incredible; people are floating on the front wall! 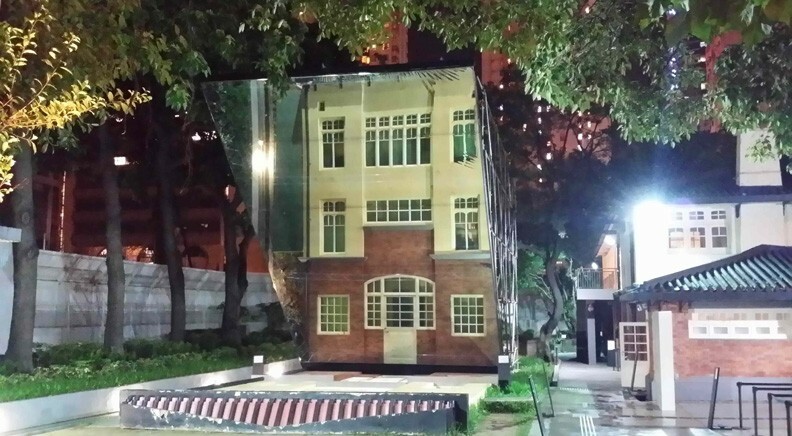 After a moment, the viewer then perceives the trick, that the entire house is a huge mirror reflecting the people playing on the hidden set below.